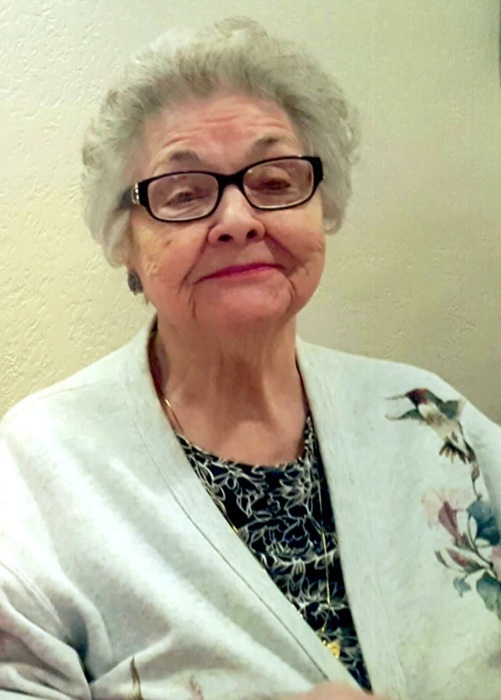 Mary Eileen Bollia Brown Lane, age 93, of Alliance, passed away at 12:54 p.m., Thursday, April 4, 2019, at Aultman Alliance Community Hospital. She was born July 28, 1925, in Maximo, Ohio, to August and Olive (Miller) Bollia and has resided in Alliance all of her life. She attended St. Joseph Maximo Church and belonged to the VFW, Eagles and Moose Auxiliaries. She enjoyed gambling, bowling and going on trips. Survivors include her children, Eugene (Cheryl) Brown, Betty Schillig, Thomas (PJ) Brown and Bill (Cathy) Brown, all of Alliance; stepchildren, Robert (Cherrie) Lane, Linda Jones, Terry (Lori) Lane and Tracy (Salise) Lane; 27 grandchildren; 44 great-grandchildren; eight great-great-grandchildren and a brother, Robert (Fran) Bollia of Florida. In addition to her parents, Mary was preceded in death by her husbands, Eugene A. Brown and Robert C. Lane; son, Charles E. Brown; stepson, Michael Lane and grandson, Kevin Brown. A memorial service will be held at Noon, Saturday, April 13, 2019, at Cassaday-Turkle-Christian Funeral Home with Pastor Roy Teague officiating. Friends may call one hour prior to the service. Interment will be at St. Joseph Catholic Cemetery in Maximo at a later date. Memorial contributions may be made to St. Jude’s Children’s Research Hospital 332 N. Lauderdale St., Memphis, Tennessee 38105.